Dara Meyler is an engaging, determined 13-year-old who lives with his family in the Dublin suburbs. Most people wouldn’t spot anything unusual upon first meeting him, but he is unusual in that he never eats sweets or chocolate – his treat has always been a diet yoghurt. In fact, Dara suffers from a condition called Prader-Willi Syndrome (PWS), a rare and complex genetic disorder that typically causes poor muscle tone, learning disabilities and problem behaviour. 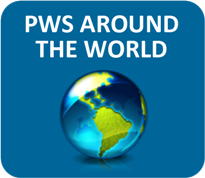 PWS is also most recognised by a chronic feeling of hunger that in many cases leads to excessive eating and, ultimately, life-threatening obesity. Such serious obesity problems have made newspaper headlines ever since PWS was identified in the 1950s. But Dara is not obese and his behaviour has been exemplary, legacy of his own personal motivation and of a very informed, dedicated network of his family, friends, neighbours – and his school’s staff. His local mainstream school, Sacred Heart School, Sruleen, in Clondalkin, agreed to take him on 6 years ago and he has blossomed there with the assistance of the school Special Needs Teacher, Martine, and a dedicated Special Needs Assistant, Joanne. As he nears the end of primary school, his life is about to change and those around him fear that the happy, fulfilled existence he has had over the past 13 years may give way to a very different regime. The teenage years are often a watershed for children with PWS, as weight and behavioural problems take over, friends move off and the children become less manageable for their families. To add to the family’s worries, it’s looking bad on the schools front for next September and they’re not optimistic they can find a suitable place for him in Dublin at all. It’s not hard to see how all this places a strain on any couple. The ‘we don’t get out much’ cliché certainly applies to the Meylers! ‘Would You Believe’ drops in on the family as Dara’s mother Maria and his father Ken consider moving him away from the fast pace of Dublin to Maria’s old family home in rural Wexford. She’ll move with him, Ken will stay in Dublin Monday-Friday, as work dictates. It’s just another in a long list of compromises the family have had to make ever since Dara was born. Added to this, they’re very concerned about Dara’s long-term future. He’ll never be able to lead a truly independent existence, so his parents, sister Clair and brother Ross will always worry about that. There are about 100 people diagnosed with Prader-Willi Syndrome in Ireland, but the real figure may be higher. 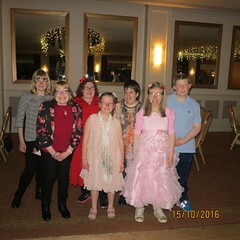 Currently, long-term residential care is provided in the form of a single, dedicated home which houses 6 adults with PWS. There, the dietary and behavioural needs of the residents are well met – but 6 places nationally is clearly not enough. 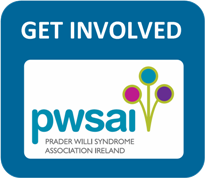 The Prader-Willi Syndrome Association Ireland are desperately hoping for another such house – it represents the kind of long-term care the Meylers and many other PWS families could envisage for their children. We investigate the courage and heart-ache behind families of children with rare genetic disorders.